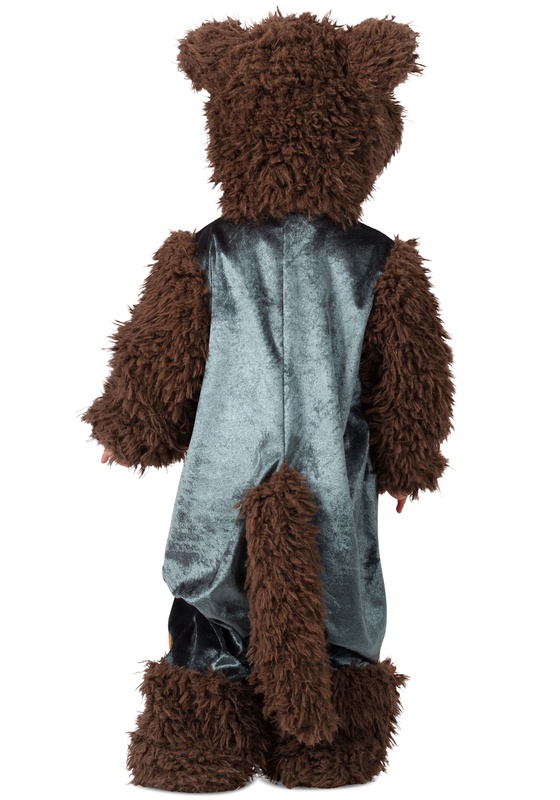 Does your little one have a knack for the mischievous side of life? It might cause trouble every once in a while. Like when you're trying to brush your little one's hair and she's hiding behind the utility closet door, silently giggling as you call her name. Or when he's stealing that cheese that you've just grated for a casserole and you're thinking you still have all the ingredients you need. They don't mean to cause trouble, it's simply in their nature. And most of the time, whether you'd like to admit it or not, you find it rather charming. The galaxy is full of mischievous options for little Rocket Raccoons. If your little one was flying with Peter Quill in the Galaxy Cruising ship, the Milano, then she would find all sorts of opportunities for mischief. Oh, those days of hiding from you are small potatoes now! Stealing cheese? Ha! Try stealing rare crystalline batteries and starting an all-out war between the guardians and a golden super model race of aliens. Well, that's not mischief, that was actually kind of a big deal. Not cool Rocket. Maybe if your little one was Rocket, he'd actually be able to restrain himself and steal something less valuable, like Ketchup packets from an alien fast food chain. That would be better. Wait, is there ketchup in space? Your little kiddo is sure to love this adorable ensemble. The furry suit is cozy and zips up the front of the shiny overalls with neon orange visibility strips. 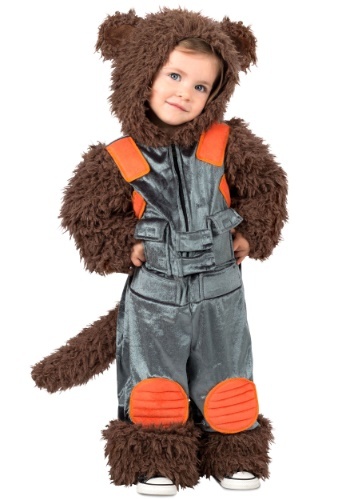 Your child will love swinging their furry tail as they trick-or-treat from space ship to spaceship! And don't worry about the October chill, Rocket has you covered with the fuzzy hood. You never knew your kid's mischievous side would be so useful. Then again, only the craftiest kids can become one of the Guardians of the Galaxy!